Man, life has been a little bit crazy around here since school started. I haven't been blogging as much, but I have been doing things. Knitting. Baking. Running Lo around to school and various activities. Hanging with the baby. 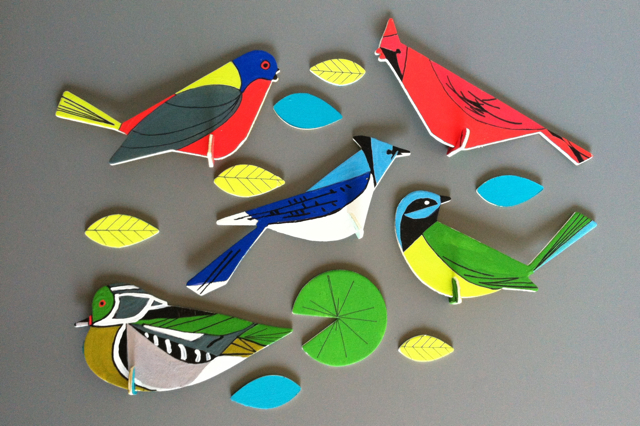 And I painted this Kid Made Modern Charley Harper bird set. 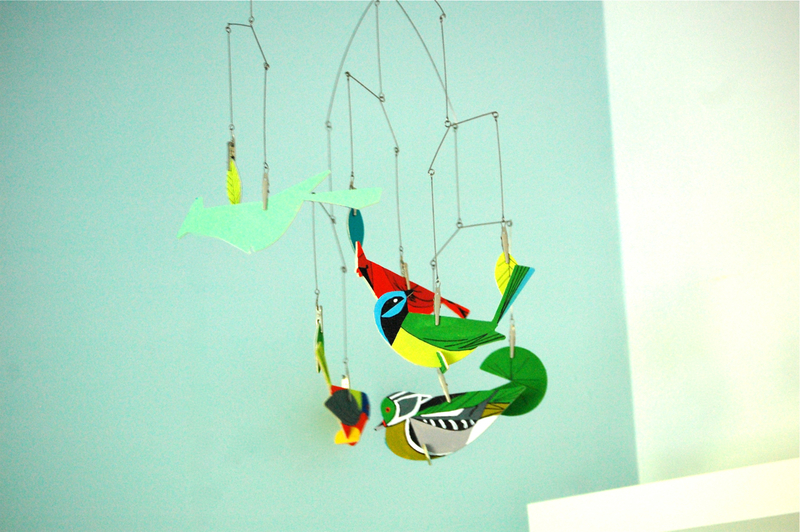 I even managed to make it into a mobile for Bowie's room. I know you have seen these super cool kits at Target. Ugh. They are so fantastic. I want them all. (I saw Halloween Kid Made Modern craft sets the other day, too! Fun.) So this is the set I used. Here's what the wooden birds look like before you paint them. Lots of nice outlines to guide you, which makes this super easy. 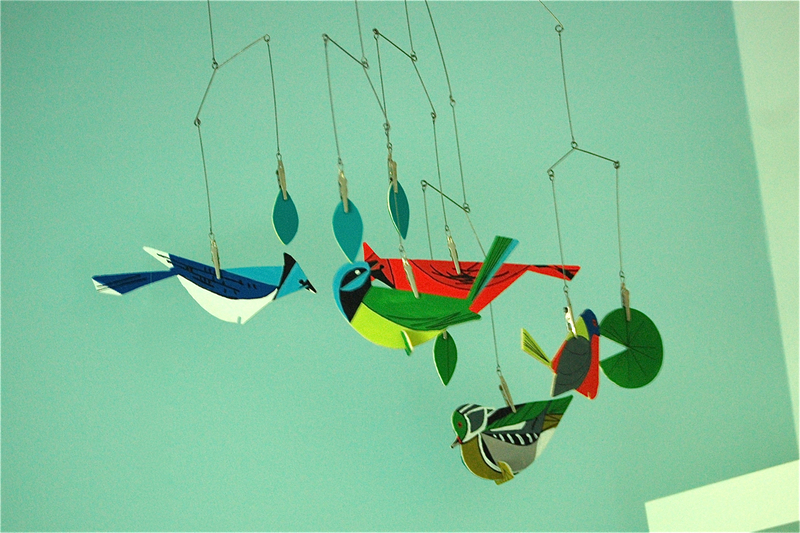 Gotta love Charley Harper's illustrations. 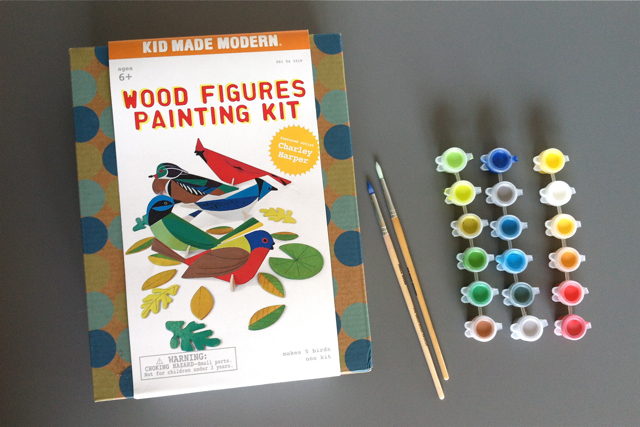 The kit comes with lots of paint (more colors than you'll need, which is great.) And it's not paint-by-number so you can feel free to do whatever you want. The brushes are included and they're really nice high-quality art brushes. 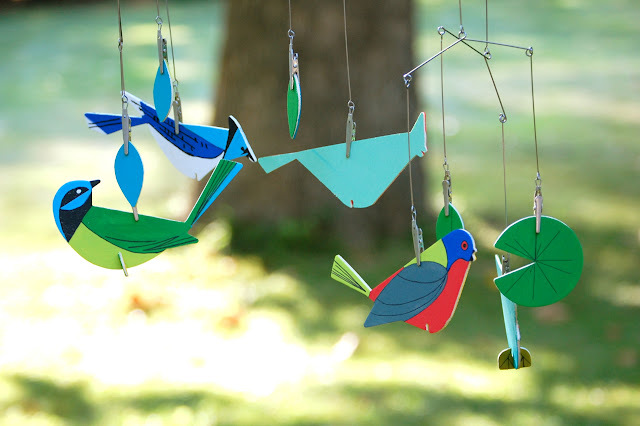 Want to make a mobile? 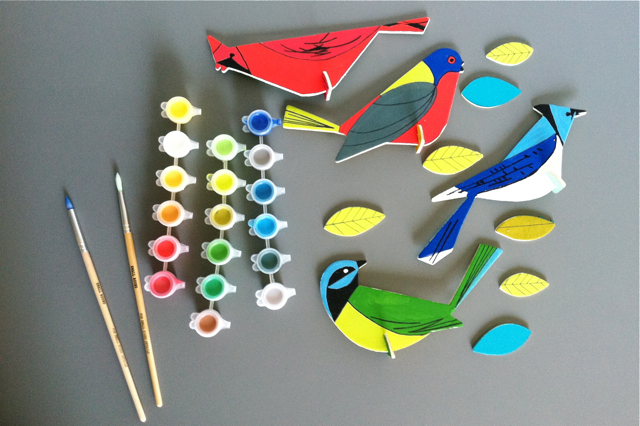 Paint those birds. Done. So bright and awesome. I went over the black lines with a Sharpie after the paint dried, and painted the back of each piece with a solid color. After all the pieces had been painted, I busted out my favorite Kikkerland Gallery Mobile (I have used this mobile several times before with other random projects.) 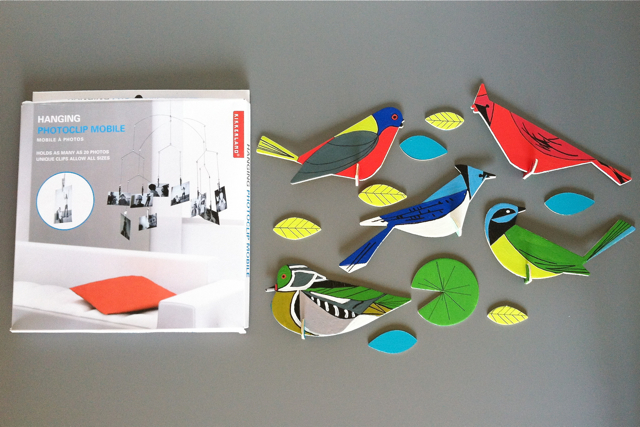 Clips plus birds equals mobile. It's kind of hard to get a good pic of this thing (because it keeps moving and twirling) but trust me, it's pretty. Yay, Kid Made Modern. Keep the awesome coming. I can't get enough. Check out another Kid Made Modern project that Lo and I made a couple of months ago, right here. Thanks for stopping by and saying hi! HEY! I'M JEN. HEYJENRENEE IS A BLOG ABOUT CRAFTING, KNITTING AND MUSIC. SOMETIMES IT'S ABOUT SCOOTERS & SKATEBOARDING WITH A LITTLE BIT OF THE MOM THING THROWN IN. BECAUSE THAT'S MY LIFE.